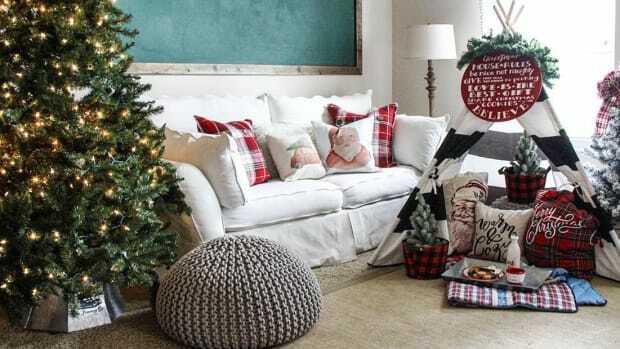 Make the holidays pretty and personal. For the first time ever, this year I’m hosting my husband’s family for Thanksgiving. Luckily for me, my mother-in-law is cooking. So instead of worrying over the bird, I’ve set my sights toward making the prettiest Thanksgiving tablescape without breaking the bank. 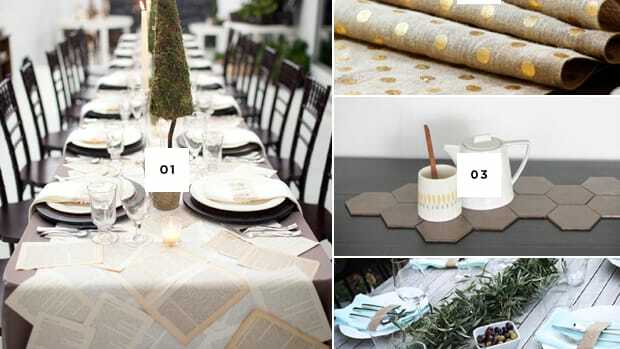 While researching affordable table decor, I found five simple yet stunning trending ideas that bring any table up a notch for the holidays. 01. 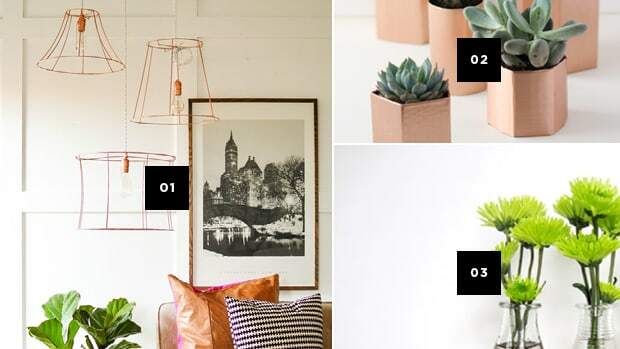 Gathering natural greenery is good for you. 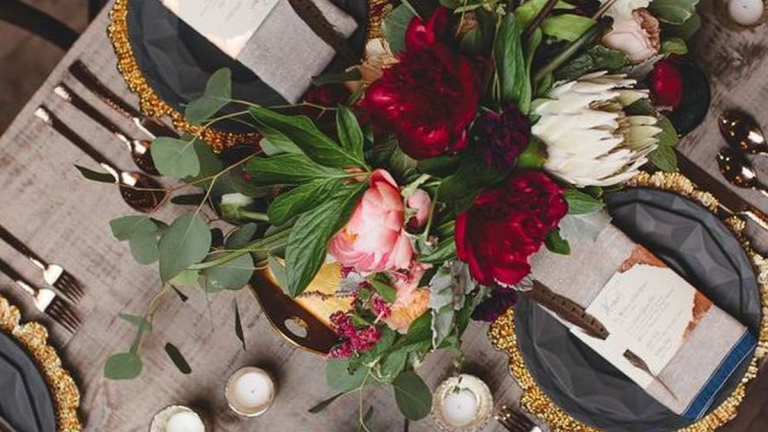 Natural greenery creates the biggest impact for any table on the smallest dime. If you live near where you can forage it for free, even better. Seeded eucalyptus specifically is flouncy and voluminous–a perfect space filler for a large table. 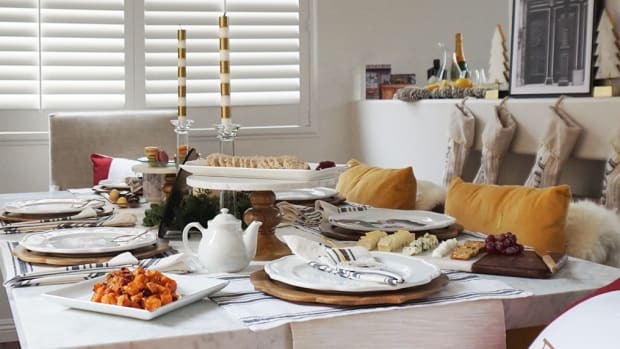 Instead of a traditional table runner, try arranging handfuls of seeded eucalyptus along the center of the table. Fill it in with candles, fall flowers, pumpkins, clementines, pine cones, pears, and anything you’d like. 02. Go for the gold accents. 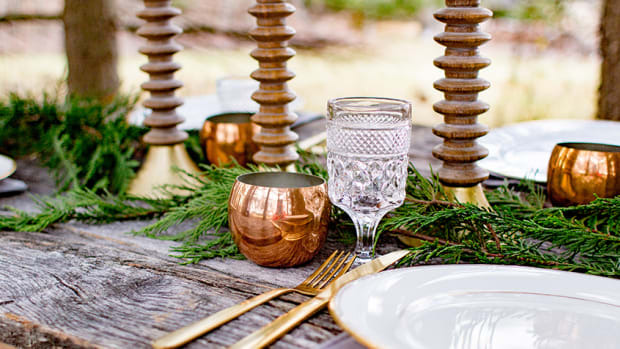 Gold gives a rich touch to the table, but you don’t need to be a King Midas to afford this luxurious look. It can be as easy as using gold serving spoons, gold utensils, or gold chargers (the flat platter that’s placed underneath a plate). If you’re feeling crafty, have fun spray-painting pine cones or small pumpkins for placeholders. 03. Make it magical with lighting you’ll love. 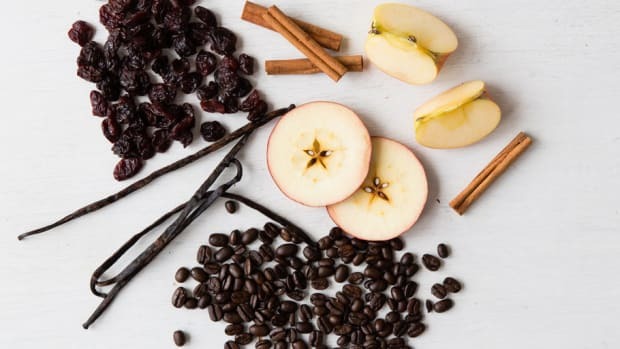 Candles are a no-brainer for a fancy spread, but I love the idea of using large, plain candles that you may have sitting around the house already. Gather them together with a few pumpkins and sprigs of greenery, and you’ve got quite a bright statement. 04. See the world through rose-colored glasses. Colorful glasses add a unique, vintage vibe to any table. Most antique stores and thrift shops are stocked with old, colorful glassware that is super-affordable. If you can’t find enough glasses in the same style and color, you can always mix and match complementary hues, which only adds to the awesome eclectic feel. 05. Personalize your place cards and seating arrangements. Thoughtful and pretty place cards make your guests feel extra-special and cared for and make it easy to encourage an unexpected seating arrangement. 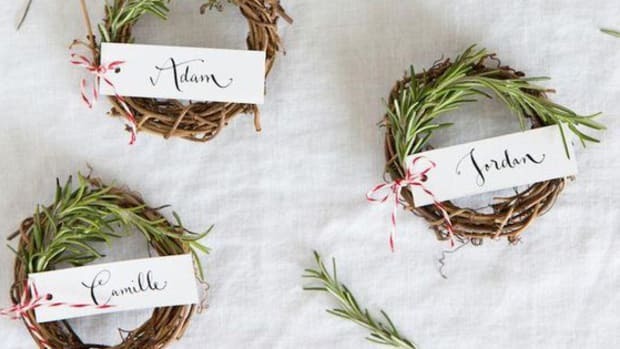 Attach or lay place cards near organic, natural items like a sprig of fresh rosemary, a small stem of eucalyptus, a pine cone, a bright autumn leaf, a clementine, a tiny apple, or a pumpkin. Calligraphy by hand on place cards is beautiful but also ambitious. Unless you’re already a seasoned calligrapher, you can always try faux calligraphy, which still looks gorgeous! 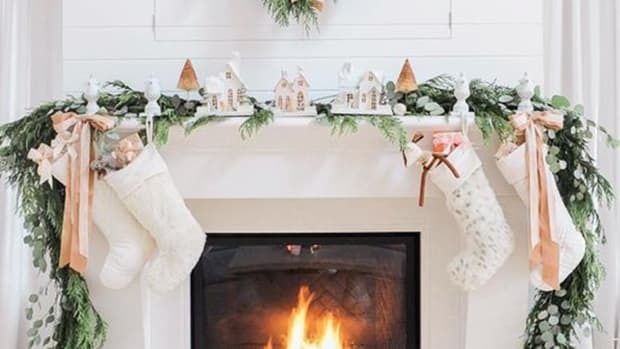 Don’t blame us if you start shopping for a faux mantel after seeing these beauts.